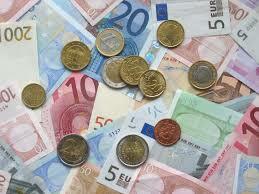 I have a number of clients who are applying for European Research Council grants, mostly starter grants. Those who have reached the interview stage this year have been notified and are now getting ready. The interview is short, typically 25-30 minutes, and begins with a talk of about ten minutes. The exact timing of interview and talk varies and candidates have yet to be notified of the exact timetable of their interviews. Most people give pretty bad short talks, so this seems like a good time to give you a recipe for a good one. This recipe works for any research-based short talk. The recipe is based on a very simple principle. You must decide on a suitable message that you want the audience to remember at the end of your talk, and you must structure the talk so that they remember that message. The message must be short. A sentence, or possibly three or four short bullet points is ideal. If the message is too long the audience will not remember it. Before you decide on your message, think about your audience, the interview committee. The committee will include one or two specialists in your subject but most of them will be specialists in something else. You want the whole committee to understand your message so make it broad, and don’t use overly specialised language. The ideal message for an ERC interview talk would say what the project will deliver and what makes this deliverable important. If there is time you might try and say something about the research approach and something about your qualifications to use the approach. Even if the research approach and your qualifications aren’t part of your main message you should certainly touch on them during the talk. It is no coincidence that my recommended message matches pretty closely the first two key sentences of the case for support, as described in this blog post. My recipe prescribes a very simple structure for the talk. Start by stating the message. Break the message down into components. Explain each of the components. Resynthesize the the original message to close. I would use the 3 components of the project as the 3 components of the talk. I recommend the same structure for the case for support, as you can see, here, here and here. Don’t have too many slides. I will usually have no more than 6 for a 15 minute talk. Use each slide to make a point. Know what point you want to make with it. Design the slide so that it makes its point. Sometimes I will write the point as the slide title and I will always state the point of the slide when I first show it. Make everything on your slide legible. You should be able to read everything when the slide is displayed on a standard size phone screen and held at arms length. Make the slides self-explanatory: if you show data you must label the axes and have a key. When I listen to a talk I usually flip between listening to the speaker and reading and analysing the slides to check whether I agree with their interpretation. When I show a data slide I start by saying what point the data make, which will usually be a question of interpretation. Then I explain how the data are plotted, the axes and so on, then I then interpret the slide by explaining which features of the plotted data make the point. Don’t have so much text on the slides that your talk consists of just reading the slides. You should practise your talk several times so that you know that it fits within the time limit. Try to practise with an audience. Most people speed up when they get nervous, so when you get to the interview, remind yourself to slow down so that you remain intelligible. I would never read a talk from a script, nor would I learn a script word for word. If I am very nervous I will learn the first sentence of the talk, and repeat it many many times, so that when I start the talk that sentence comes out automatically. That gets me started and usually settles my nerves. I may also learn the sentences that state the points from each slide, although I usually write the point in short form as the slide title and I use the list of slide titles as notes. Some people think you should plant obvious questions in the talk by making some of your explanations incomplete, or that you should use the talk to repair any weaknesses that you can see in your application. I think both these strategies are risky. Planting questions is risky because although the committee may ask you the questions that you have planted, if you make it obvious that you are hoping for them to do so, they might feel that you are manipulating them. Equally, you may make it too subtle and they might not ask the question you have planted and simply decide that you aren’t very good at explaining. Using the talk to repair weaknesses in the application is risky because by doing it, you draw attention to the weaknesses. Your application was good enough to get you to interview, so they may not have noticed any weaknesses. Of course, if the committee have noticed weaknesses in your application then they will ask you about them in the interview. Consequently, analysing your application for weaknesses is an important part of your preparation for the interview. I will write about preparing for the interview in a future post. This entry was posted in Research Grant Applications and tagged ERC Starter Grant, How to Write, Research Talks, Strategy on May 3, 2016 by andrew.